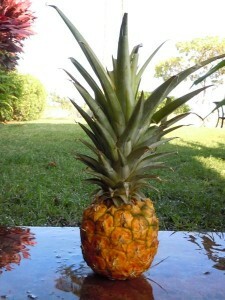 Remove pineapple top, rind, and core. Cut into large chunks. Add all ingredients to blender or food processor and mix until smooth. Refrigerate until chilled. 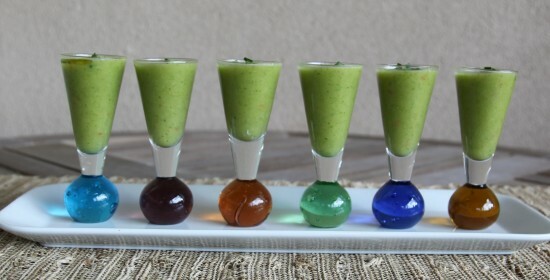 Ladle into small serving dishes or "shot" glasses for food tastings. Garnish by adding a small spoonful of extra virgin olive oil to the middle of each serving then float diced cucumber pieces with the skin on in it.